Dummerston, Vermont, c. 1810. Additions built c. 1826 & 1838-39. 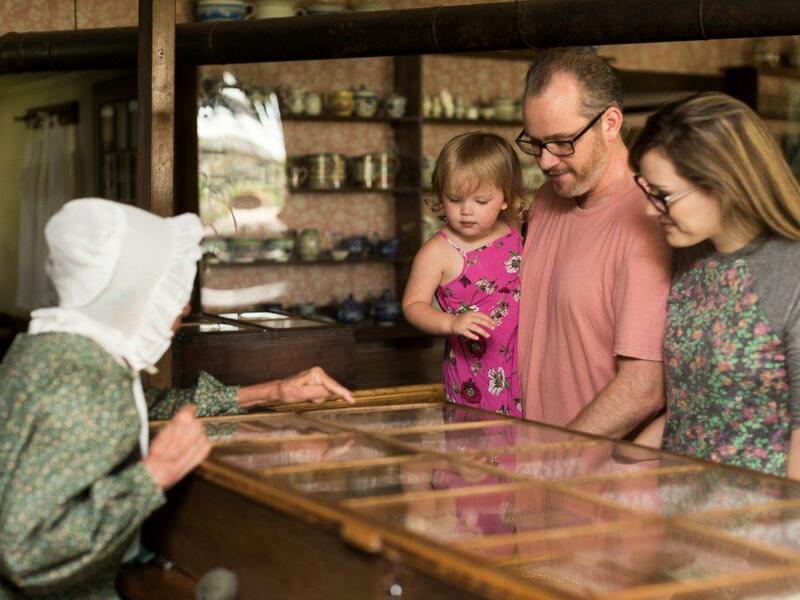 Located near the Center Meetinghouse, the Asa Knight store represents a crucial link between the farming community and the world at large. The store, originally built as a modest one-story building, had by 1838 grown into an imposing two-and-a-half-story emporium that stocked an expanding variety of products. Customers paid for their purchases with credit earned by selling such items as butter, cheese, palm leaf hats, and knitted socks. The storekeeper, in turn, sold them in the cities where he bought the goods to stock his shelves. New England stores carried items from around the world, including woolen broadcloth from England; cotton textiles from England, France, and India; linens from Ireland and Central Europe; and silks from China and Italy. 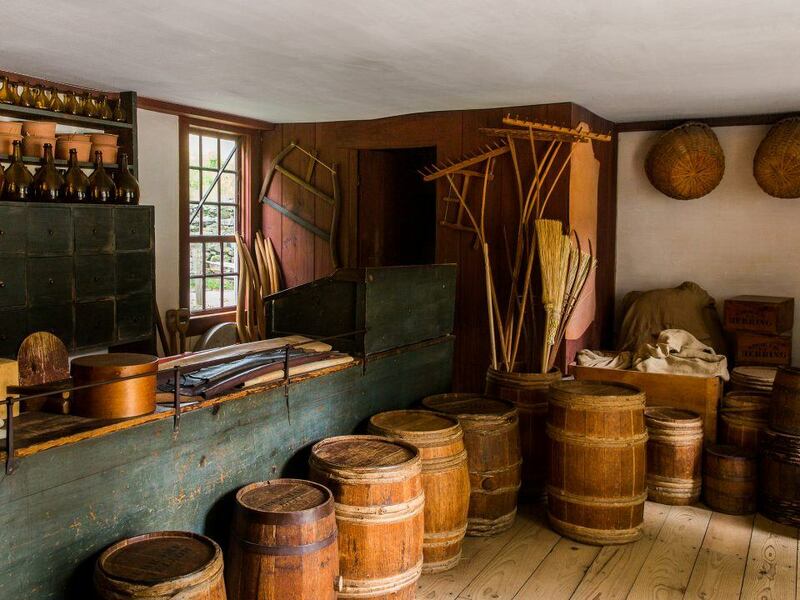 In addition, New Englanders could purchase teas, coffees, spices, sugar, raisins, and dyestuff from China, Arabia, Greece, the East and West Indies, and South America. 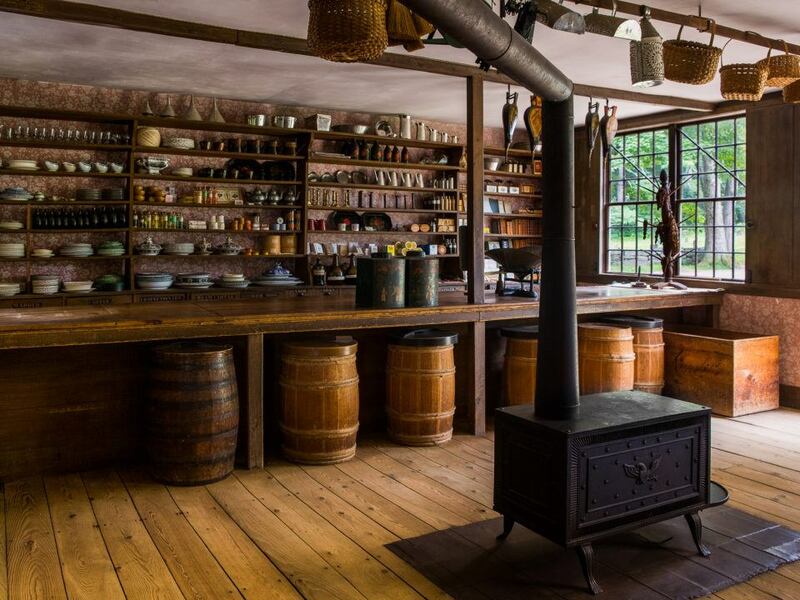 Domestic items included sheeting and shirting, calico prints, shoes, many tools, window glass, brooms, books, and paper goods, all made in New England shops. There were also garden seeds raised and sold by New England Shaker communities. Today, the Asa Knight store displays these items and more.